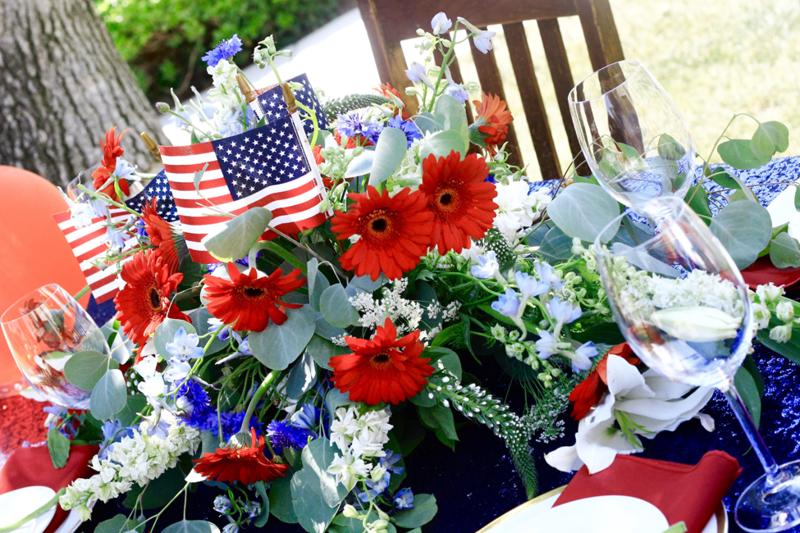 As summer heats up and the Fourth of July approaches it’s a great time to look ahead to an easy and festive tablescape to celebrate during your party. This tablescape is a snap to create and of course we used some of the freshest California Grown flowers this State has to offer. We also incorporated the “super-hot” trend of adding a balloon garland. 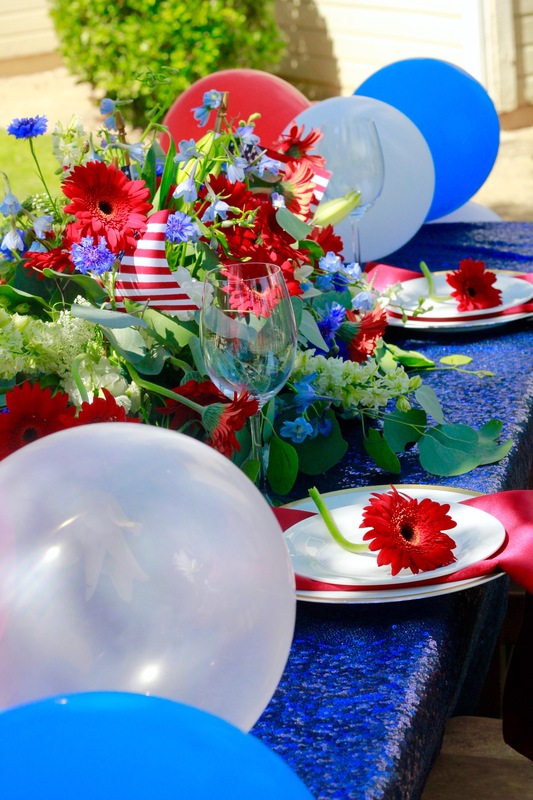 By combining balloons and fresh flowers, this tablescape will have everything you need to make a great impression on your guests. 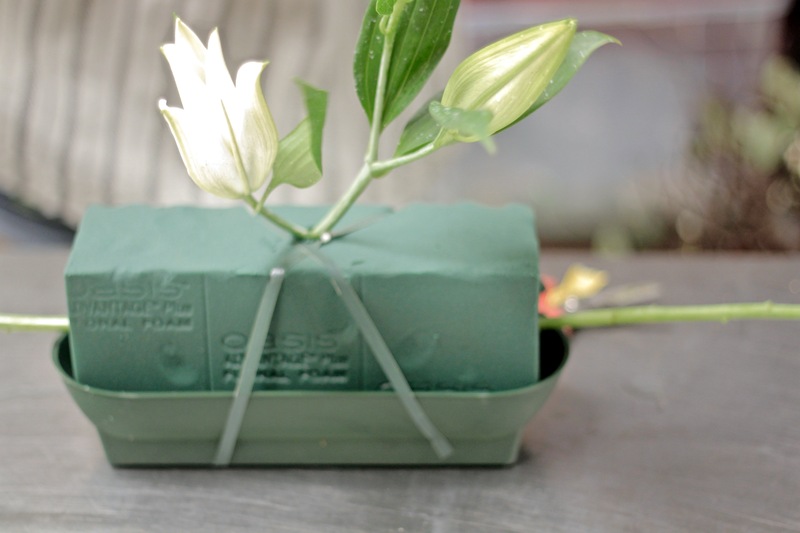 Note: The above items can be found and purchased at your local florist or at any craft store. 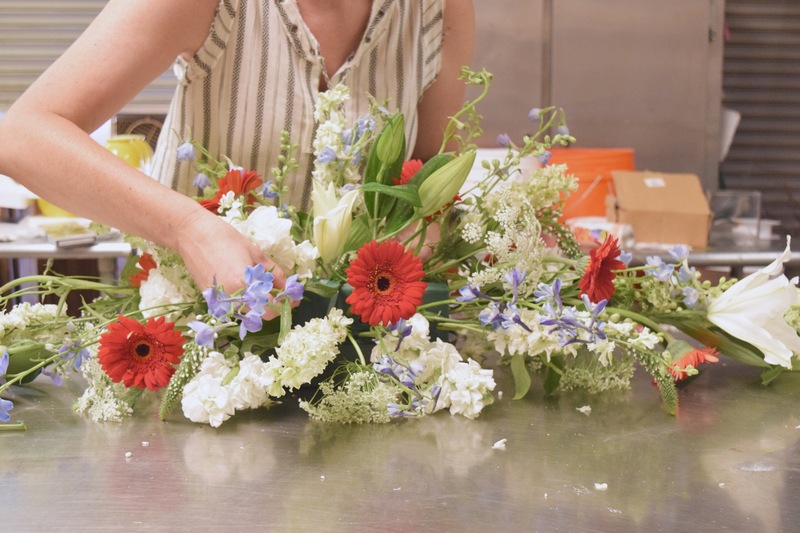 For this project we used white Oriental Lily’s, white Stock, white Veronica, white Delphinium, red Gerbera Daisies, light blue Delphinium, and blue Cornflower along with some Silver Dollar Eucalyptus from the tree in my backyard. Soak your floral foam in water. Do not push the foam block down. Let it soak on its own so that you won’t have air pockets. 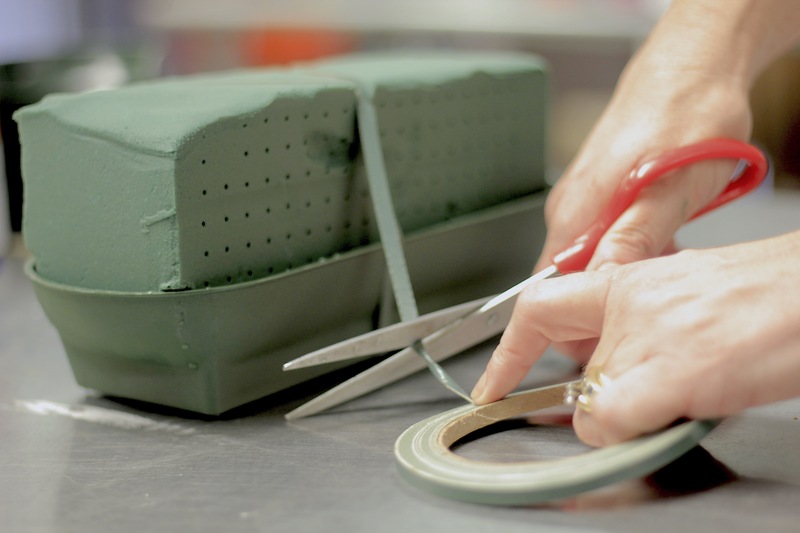 Once the foam is soaked place it in the plastic holder and wrap with your waterproof tape. 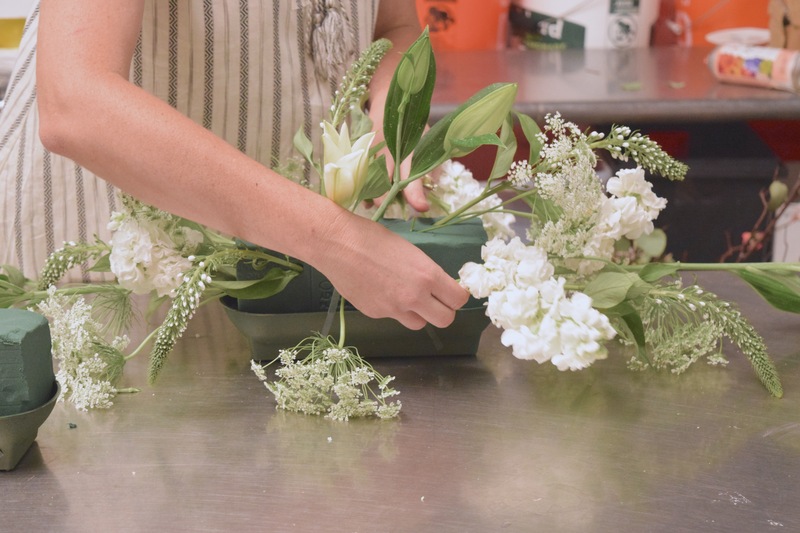 Once you have your floral foam in place it’s time to arrange your flowers. 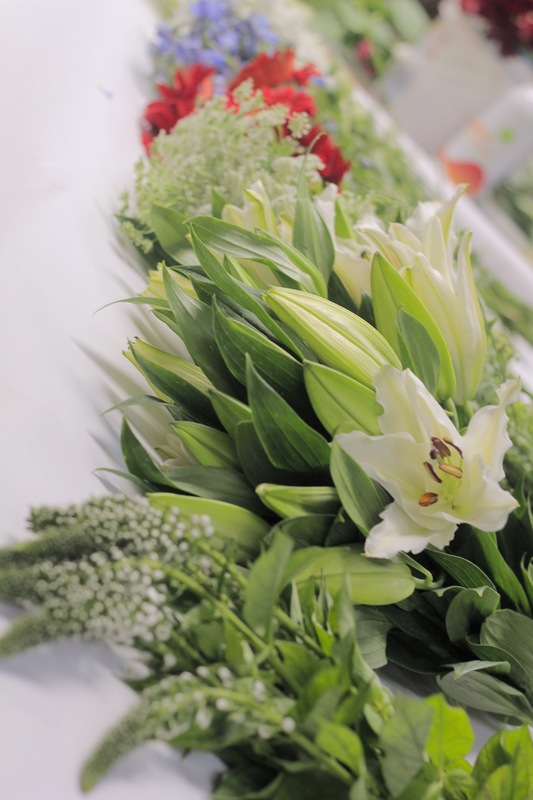 We started with the longest stems first by adding 3 stems of white Oriental Lily’s. We inserted one stem in each side of the foam and then added a stem in the center. We continued by adding the Larkspur and Stock in the same pattern. We then added the blue Delphinium and red Gerberas. For a final touch, we added the blue Cornflower. We added our Silver Dollar Eucalyptus to fill in any gaps. Note of interest- some people prefer to add their greenery first which perfectly acceptable as well. Now it’s time to decorate and highlight your creation. 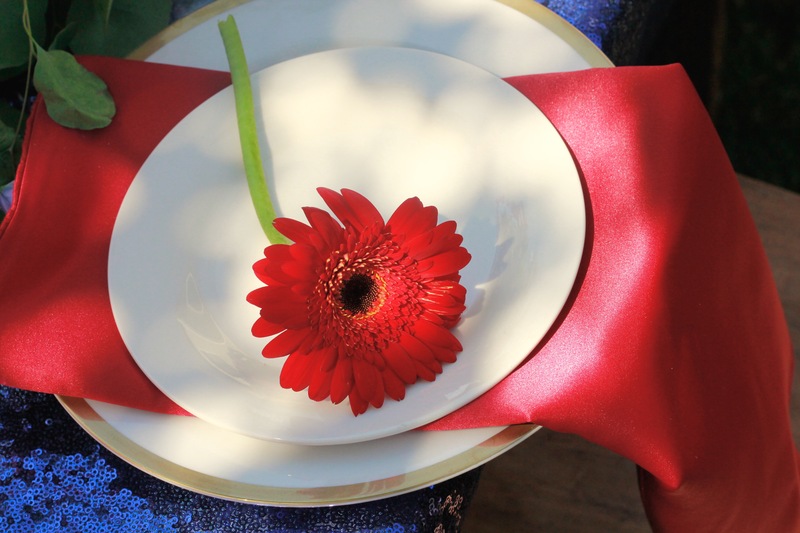 We chose a festive blue sequin table cloth and red napkins to highlight our centerpiece but any linen will do. 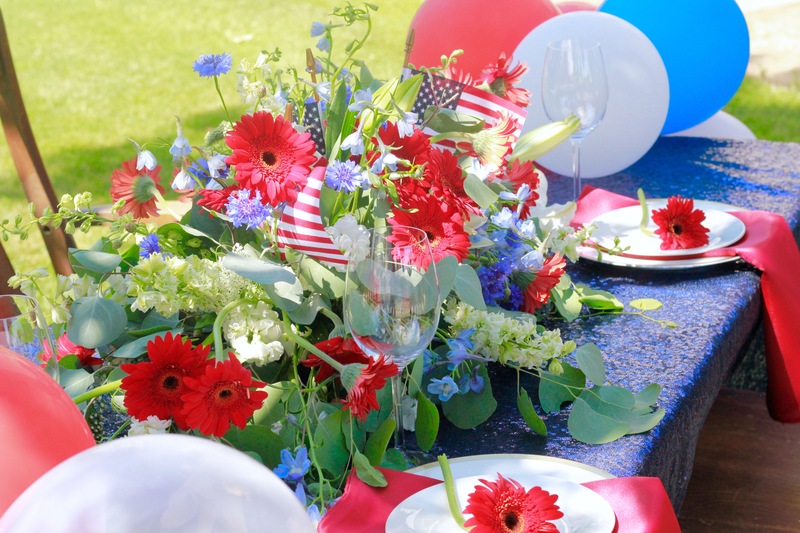 Place the flowers in the center and add the balloon garland to each end of the table. 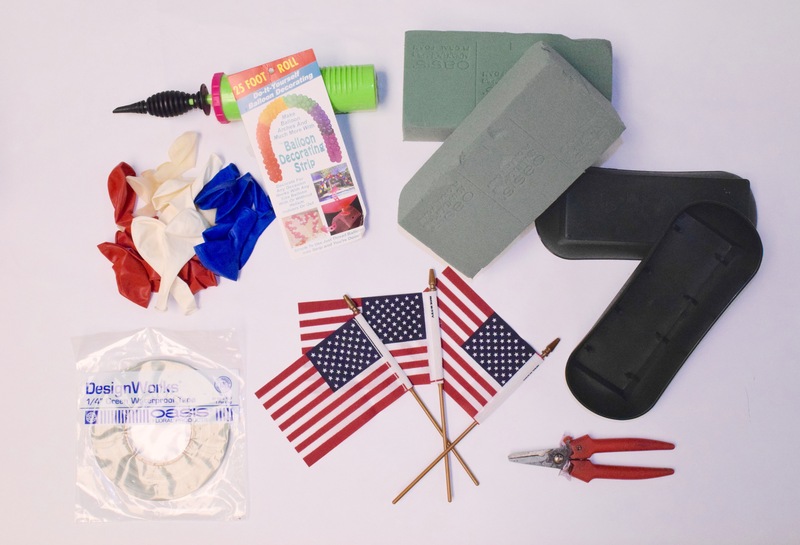 Now you are ready to watch the fireworks and celebrate the 4th in style. In the summer months it is especially important to use California Grown flowers. They will be fresher, have a longer shelf life, and stand up to the heat better than imported floral varieties. As always if you have any questions leave your comment below and we’ll answer you as soon as we can. For more floral inspiration, check out our gorgeous online catalogue of California flowers! May your 4th be filled with fun, beauty and those who you love. Previous Article « Meet a California farmer passionate about protea!